MNCH: Save the Date for the Third Canada-Guatemala Knowledge Exchange! Horizons of Friendship is pleased to notify Canadian maternal and child health professionals, experts and advocates that its third Canada-to-Guatemala knowledge exchange will take place from February 23 to March 4, 2019. This 10-day exchange is part of Horizons’ four-year Maternal, Newborn and Child Health (MNCH) project, which is led by our local partner PIES (the Association for Health Promotion, Research and Education) in support of and in close collaboration with Guatemalan Ministry of Health programming. The wide-ranging project, which is funded in large part by the Government of Canada, is improving the use and delivery of MNCH services for thousands of Indigenous Maya K’iche’ women, children and families in the department of Totonicapán, Guatemala. Knowledge and experiences will be shared between Canadian and Guatemalan MNCH providers, leaders and supporters, including traditional Indigenous Maya midwives known as comadronas. Educating future and current health workers on the Maya worldview on health and illness, and more. Note that this exchange is not a service-based trip, as is common in medical brigades. The exchange will invite participants to go beyond a medical intervention and understand the complex MNCH realities in Totonicapán through a social justice lens. For example, the exchange team will shadow comadronas and PIES health educators as they carry out home visits in rural communities in the country’s Western Highlands while learning about the historic and systemic inequalities that have resulted in the marginalization of Indigenous people in Guatemala and alarming MNCH gaps. 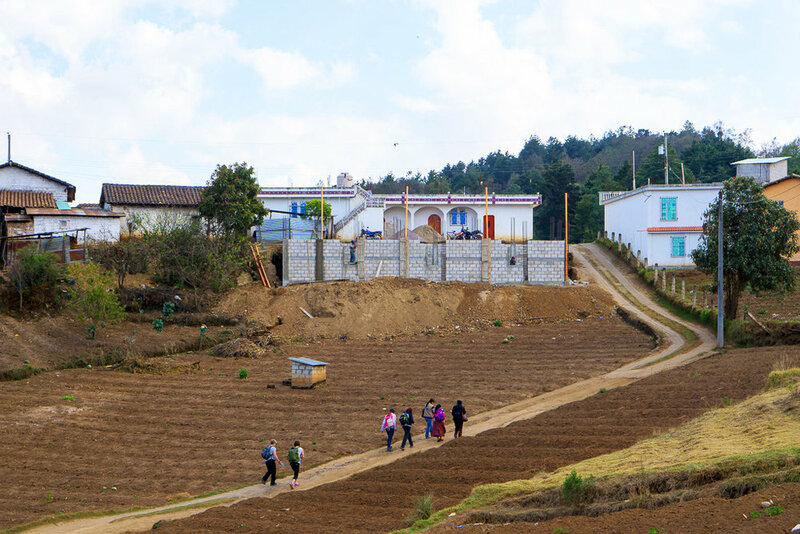 This approach highlights the project’s emphasis on culturally-pertinent care given the fact that Totonicapán’s population is primarily Maya K’iche’. Knowledge-sharing under the exchange will therefore be a fundamentally reciprocal process between equals that respect each other, be they comadronas, Ministry of Health officials, doctors, nurses, public health experts, community health educators or even Maya priests. Horizons strongly believes in the importance of Indigenous approaches to health and the creation of spaces where traditional and Western worldviews can coexist and strengthen each other. All Canadian professionals that work in an MNCH-related field or are advocates that support MNCH can apply to the third exchange. This includes, but is not limited to: family doctors, OBGYN professionals, pediatricians, midwives, nurses, dietitians, community health workers, public health personnel, researchers, community organizers, or gender equality experts. Horizons will release a call for participants in August, with full details and a link to an online application. If you would like to learn more about the exchange, and join the applicant distribution list, please contact Raúl Scorza at rscorza@horizons.ca / 905-372-5483 / 1-888-729-9928 [ext. 24 for both]. -Janette Batacharya – Registered Midwife providing care to primarily Inuit and Indigenous populations above the 60th parallel in Fort Smith, Northwest Territories. -Ann Armstrong – Masters-trained dietitian with experience implementing and evaluating maternal and child nutrition programs in both Kingston and Toronto, Ontario. -Dr. Kathleen Barnard-Thompson – Family doctor providing obstetrical care and Chief of the Maternal Child Program at the Northumberland Hills Hospital in Cobourg, Ontario. -Ashley Holloway– Licensed Practical Nurse and Clinical Placement Officer within the School of Health & Wellness at Bow Valley College in Calgary, Alberta. MNCH: Apply Now to the Third Canada-Guatemala Knowledge Exchange!